Wishing for a form of exercise you can thoroughly enjoy that combines all aspects of fitness in one class? It's time to try us out. Movement to music is a natural place to start and, because our routines are based on effective principles and designed to continuously progress, you’ll improve without it feeling like work. No special clothes or footwear needed; our friendly, holistic approach is for everyone whether you already exercise or not. From correct body alignment and core strength to mobility and coordination, it’s not just about how you feel during the classes, it's how it makes you feel for the rest of your life! Come along and enjoy yourself in a supportive environment and work to your own level. You will be very welcome. Click below for prices, payment and offers. 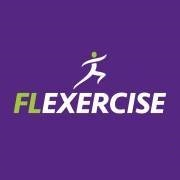 Find out about the principles FL Exercise teachers work to, and our inspiring history. Click below for details of the classes and locations.